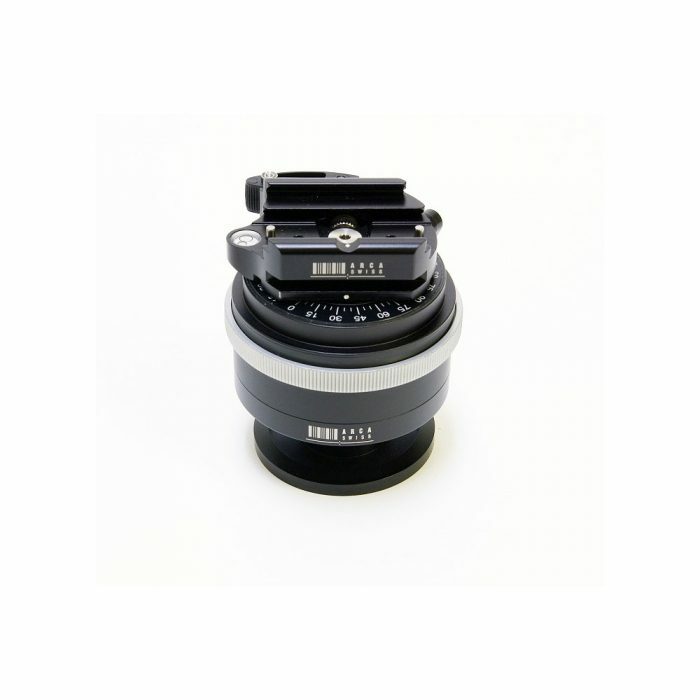 The Arca Swiss C1 Cube Head allows users to place their heavy cameras with a degree of accuracy unheard of for a product with such a light weight. 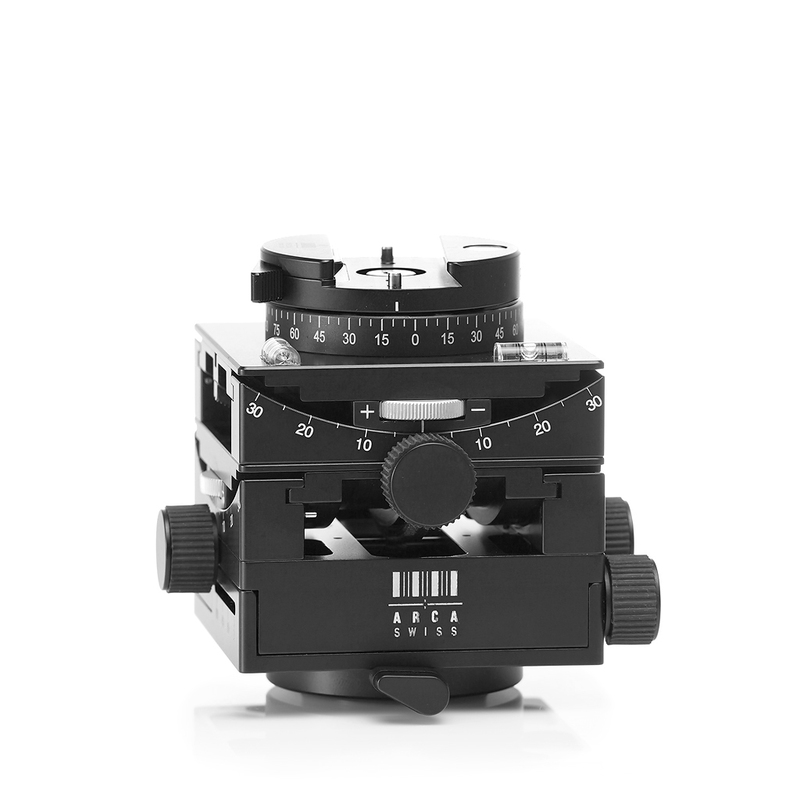 The C1 Cube has finely calibrated ungeared panning adjustments under and above ±28° x-y geared axes with adjustable tension. You can first centre the Cube’s controls to your position with the bottom axis, then readjust the camera to point dead ahead with the upper axis. The gears’ knobs have a little scrap of rubber running around them, to give pinpoint control while wearing gloves without being broad enough to obstruct the head’s movements. On the bottom of it all, there’s a third (ungeared) hinge which allows 62° of tilt so that any camera can reach the 90° vertical position. On the top are 2 sensitive bubble levels and an Arca Swiss flip-lock quick release clamp which has its own advantages in compactness and security. 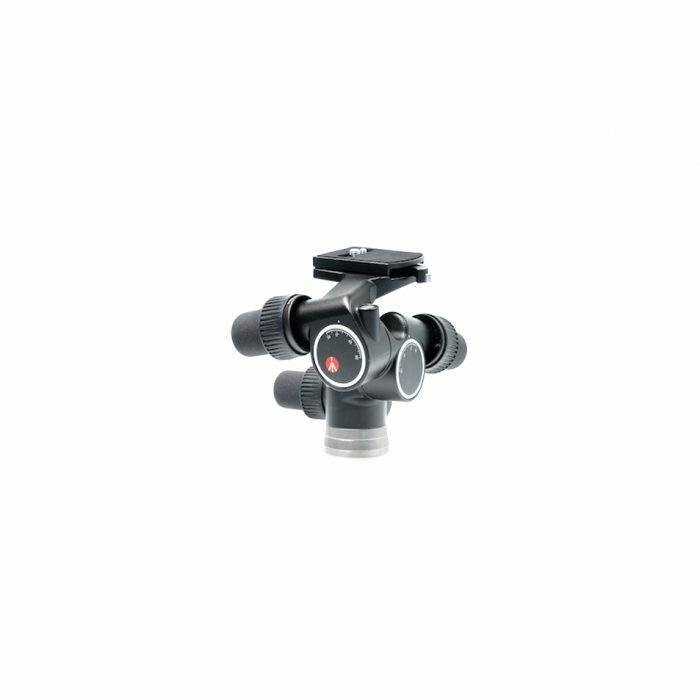 The Arca Swiss C1 Cube Head weighs in at just 925g (2.03 lbs) and is considerably more compact than other geared heads. The Arca Swiss C1 Cube Head’s ultimate advantage lies in the world of still life and architectural shooting, where its design allows far fewer focusing readjustments while creating images. 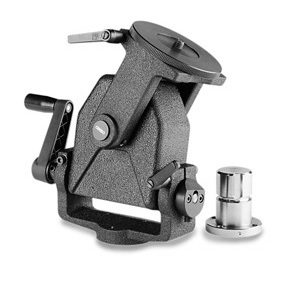 Cambo's SCH-U precision-geared movement has important advantages over standard friction-locking ballheads and other 3-d schemes. Minute adjustments are precise and controllable, and because the Tilt movement is geared, it is selflocking.